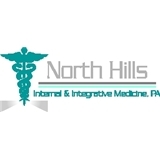 North Hills Internal & Integrative Medicine (Raleigh) - Book Appointment Online! New to the area and I was looking for a primary DR. Although their were many choices...I am so glad I went with my gut feeling and choose DR. Vanpala. Great Dr. who took the time to listen; he really cares for his patients.